A report which was commissioned by online retail giant Amazon has predicted that it will be possible to develop devices which translate what pets are communicating to human beings. According to William Higham, the author of the report, such translating devices are likely to appear in the course of the next decade. “The amount of money now spent on pets – they are becoming fur babies to so many people – means there is huge consumer demand for this. Somebody is going to put this together,” says Higham. To bolster his claim Higham cited Con Slobodchikoff who is Northern Arizona University’s professor emeritus at the biological sciences department. In the last three decades Slobodchikoff has been studying prairie dogs and has used artificial intelligence to decipher their sophisticated communication system. According to Slobodchikoff prairie dogs have words that they use to describe color as well as predators. Slobodchikoff is now certain that prairie dogs are not the only animals that have a ‘language’ and is therefore in a fundraising effort aimed at raising money which will go towards developing a device for translating the language of dogs and cats into one that is easily understandable by humans. In the last couple of years, machine learning advances have made it possible for automatic speech translation and recognition. This is because of the technique employed by these algorithms in machine learning to learn language – rather than pre-programming them with inflexible rules they are trained using huge datasets. Not everyone is convinced about the possibilities though. According to Juliane Kaminski, a Portsmouth University psychologist who focuses on human-and-dog interactions, it is highly unlikely for a pet translator device to be developed mainly because how pets such as dogs communicate does not constitute language in the strict scientific sense of the word. 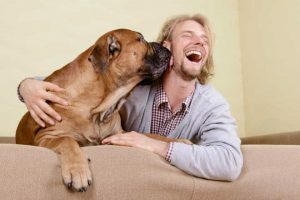 According to Kaminski, the way pets communicate is sometimes rudimentary and humans can easily be able to decode some of these yowls and yaps even if they have never lived with or owned a pet. Such a device could, however, be useful for young children or human beings lacking in intuition. In one study for instance when young children viewed a dog’s picture showing the animal with its teeth bared menacingly, the children wrongly concluded that the canine was ‘smiling’ or ‘happy’ and consequently wanted to hug it. With a pet translator young children would be able to avoid the dangers precipitated by a wrong judgment with regards to the mood of a pet.